Over the past decade, salads have become a very popular menu item in restaurants all over the world, and for good reason. Salads can be jam-packed with hearty proteins, fibrous vegetables, nuts, seeds, and refreshing fruit for the perfect healthy meal. When prepared by a conscious eater, salads can be a great way to take care of your heart, weight, and digestive system. While some people love using olive oil and flaxseed oil as a healthier form of salad dressing, we’re here to tell you that there are several easy recipes that can be used to make delicious oil-free and dairy-free options. These salad dressings can provide just as much flavor as your traditional Ranch, without all of the refined fats and sugar. In this blog, we’ll look at some of our favorite oil-free and dairy-free salad dressings that you can make in the comfort of your own home! 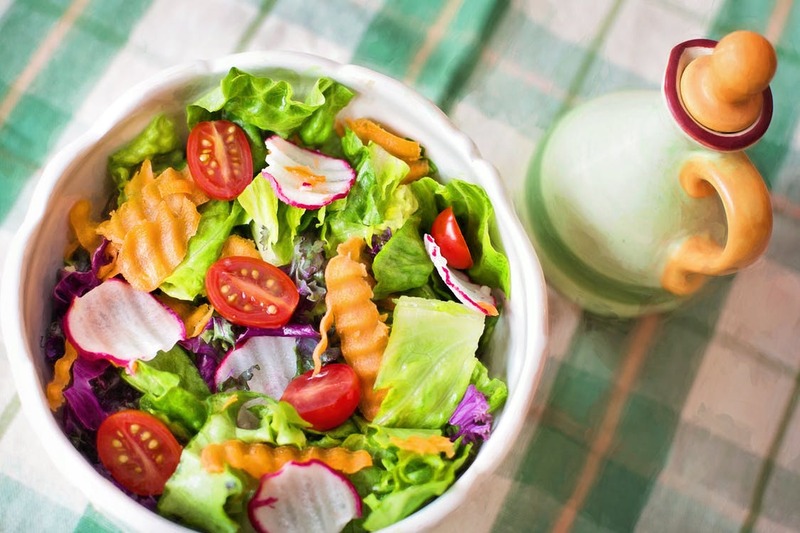 At Greenspot Salad Company, we pride ourselves on serving foods that are free of hormones, high-fructose corn syrup, and other unhealthy additives. 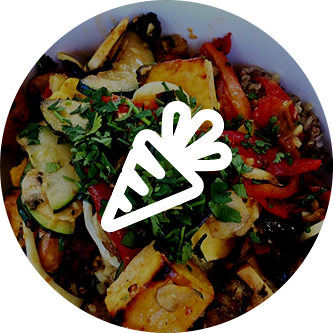 When you visit one of our salad bars in San Diego, you’ll have a plethora of healthy meal options to choose from. We offer custom made salads, sandwich wraps, and soups that are created from the finest veggies California has to offer. 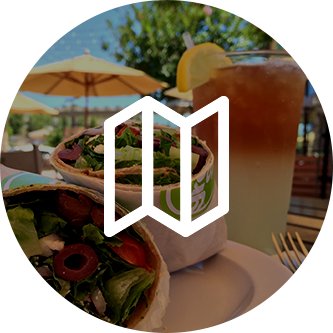 Check out our menu online or stop by our Sorrento Valley or 4S Ranch restaurant today! Our mindful chefs believe that one of the most popular and delicious ways to make a healthy salad dressing is to go with mustard as one of the main ingredients. Make sure to use a plain mustard brand and not a honey mustard variety, as these tend to contain excess sugar. To make this mouth-watering salad dressing, following the steps below! Combine ⅓ cup of your choice of yellow or stone-ground mustard with ¼ cup of raw apple cider vinegar. Add a ½ teaspoon of sweetener like agave, coconut syrup, maple syrup, or liquid stevia. Add 1 teaspoon of black pepper and 2 tablespoons of water. Blend all of the ingredients together in a small blender and drizzle on your salad. This easy to make salad dressing is very low in sugar, not to mention it’s completely fat-free. By adding a touch of apple cider vinegar, you can help promote healthy blood sugar levels in your body as well as detoxification. Black pepper and mustard are known to help boost metabolism while providing your body with high amounts of antioxidants. Did you know that miso is one of the most healing fermented foods in the world? All miso contains fermented soybeans, which makes it easy for your body to digest. Miso is also full of raw probiotics and enzymes. When you create a salad dressing with miso, you’re in for a wonderful treat that doesn’t have any added fat or sugar. Let’s look at how to make this salad dressing below! Combine 1 tablespoon of miso with ⅓ cup of water. Add 2 whole olives and 2 tablespoons of brown rice vinegar to the mix. Add a dash of black pepper and ½ a teaspoon of brown rice syrup or liquid stevia. If you’re a fan of seaweed, add a tablespoon of dulse flakes or kelp. Unlike most dairy salad dressings, our miso vinaigrette offers a variety of cleansing benefits for your body. Full of natural vitamins and minerals from dulse, this salad dressing offers beneficial probiotics and enzymes, not to mention it’s very low in calories. If you’re like most people, you can’t get enough of ranch dressing. Unfortunately, most ranch dressings contain common ingredients such as mayonnaise and buttermilk, which can be high in fat, calories, and sodium content. Luckily, there’s a way to make this tasty dressing at home without all of the harmful ingredients! Many health gurus will create their own ranch dressing by using creamy tahini and a touch of unsweetened almond milk. This dressing is simple to make and very flavorful. Let’s look at the recipe below! In a mixing bowl, combine 3 tablespoons of raw organic tahini. If you can’t find raw, you can always use regular roasted. Add ⅓ cup of water and 2 tablespoons of unsweetened almond milk to the mix. Add a pinch of black pepper and 1 to 2 tablespoons of Herbs de Provence or Italian seasoning. This salad dressing offers a plethora of health benefits. Not only will it help keep you full, it will also balance out your nervous system thanks to the calcium in the tahini and herbs. 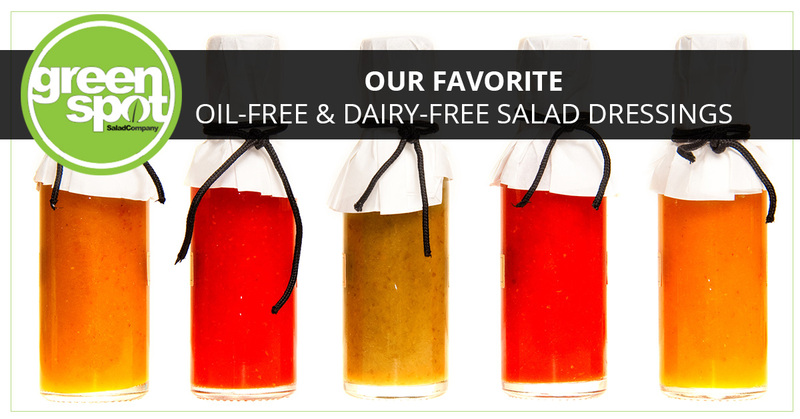 As a great alternative for your heart and waistline, we’re confident you’ll love this dairy-free salad dressing! 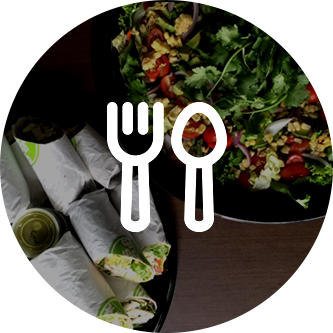 At Greenspot Salad Company in San Diego, we’re passionate about providing our customers with fast, healthy, custom-made food. When you visit one of our salad bar locations in San Diego, we’ll do everything we can to ensure your meal is prepared to your liking. If you have any food allergies and intolerances, just let us know and we’ll make you a custom dish that you’re sure to love. We also offer catering services for weddings, graduation parties, birthday parties, retirement parties, and more.